President Trump's decision to part ways with Chris Christie came after the New Jersey governor offered his own cell phone as means for speaking with former President Barack Obama, according to a new book. In Joshua Green's new book, Devil's Bargain, insider details of Trump's presidential campaign are revealed -- including a tense moment aides later described as Christie's "ultimate mistake." According to the book, whose accounts are summarized in a new Daily Mail report, Christie approached Trump after news of his 2016 presidential election win had solidified with the proposal of arranging a call between then-President Barack Obama and the new president-elect. 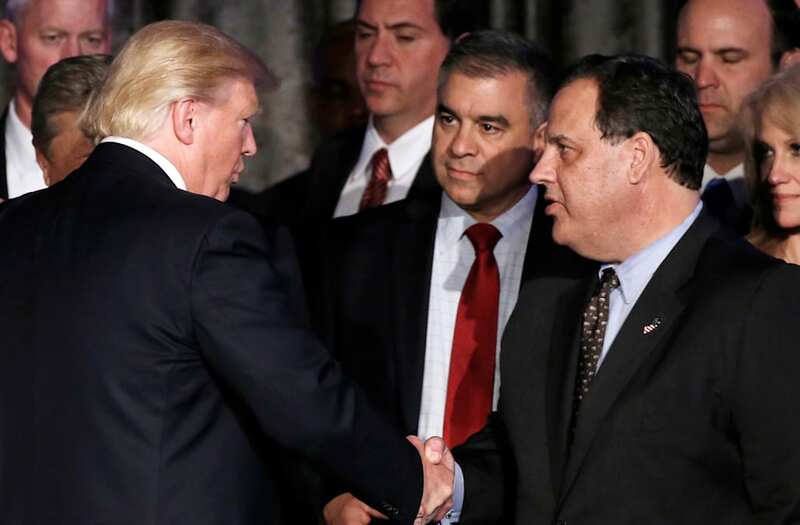 "Hey Donald," Christie said. "The President talked to me earlier. If you win he's going to call my phone, and I'll pass it over to you." Trump, a known germaphobe, was reportedly disgusted at the thought of using Christie's own cell phone for the conversation with Obama -- and responded with such anger. The book also describes Trump as having sat down to "absorb the gravity of what was happening," and saw Christie's statement as an intrusion. "Hey Chris, you know my f***ing phone number," Trump said, as described by Green in the book. "Just give it to the President. I don't want your f***ing phone." Senior adviser Jared Kushner later removed Christie from his role as head of Trump's transition team.